Grand Theft Auto 5 (GTA5) is back this time on the PS4! Video game console’s biggest sandbox has made a return to the PlayStation 4. We got a copy and needless to say, we are proud to return with an article detailing our play through experience. 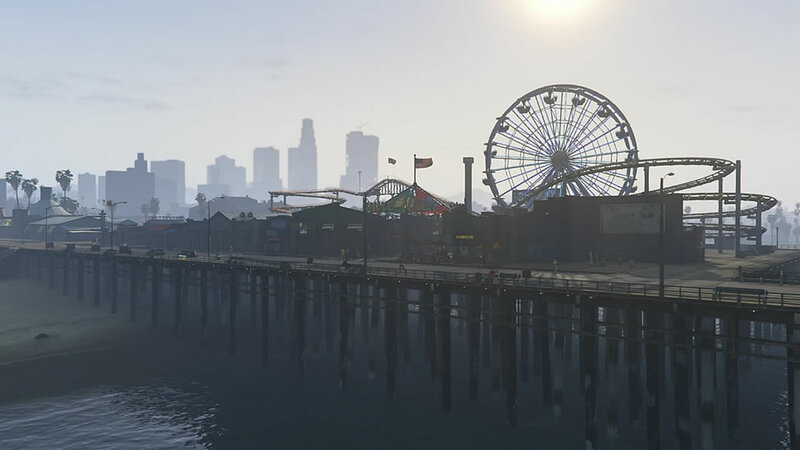 GTA5 was in many ways considered by many to be one of the best games on last generation’s platforms. Just to give you readers a little background on the game, GTA5 cost $265 million (US) to make, it made 800 Million in its first day and 1 Billion in the next 3 days. Such was the popularity of the game. Given its previous entries, we also know that Rockstar games generally make very good games such as red dead redemption, Max Payne etc. While this article isn’t exactly a review, it tackles a few notable points like. Should I buy this game if I already owned the last generation one? What’s new in the next generation title? This article hopes to address any of these concerns. After all, I also purchased the previous version, spent a good amount of time with my friends trying all sorts of methods to steal a military aircraft from an airbase and celebrating after doing so. So how does next generation feel? 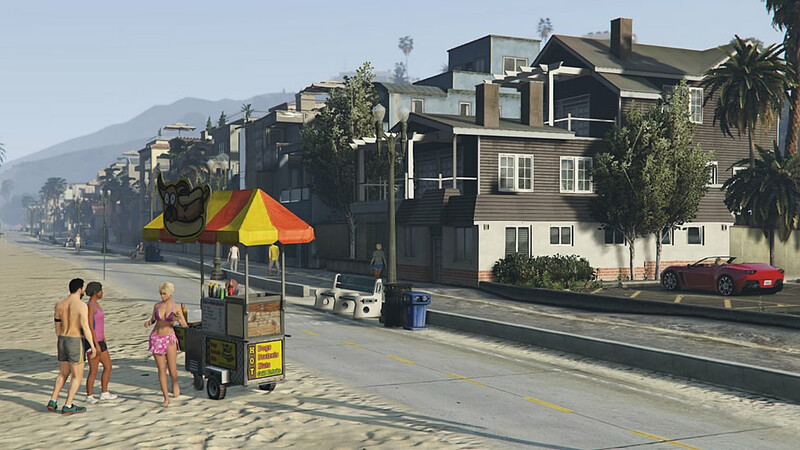 The most notable thing about GTA5 is its graphics upgrade. The game runs at 30FPS in 1080P. As if Los Santos wasn’t big enough, Rockstar’s ambition to make everything look great and come alive succeeds. 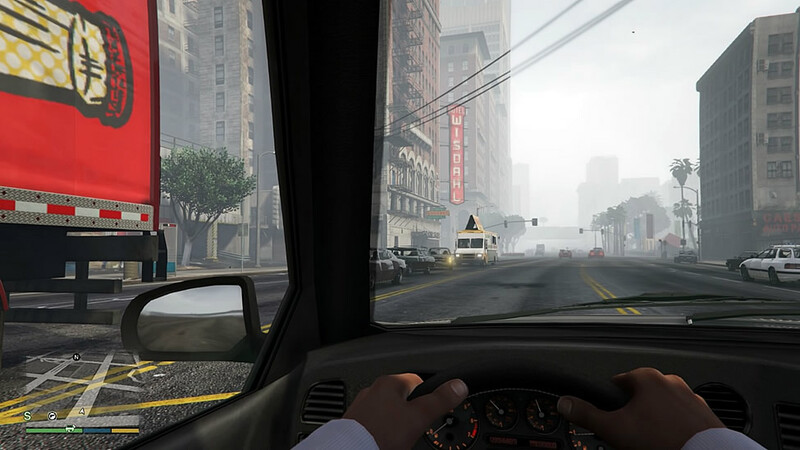 In fact, the feeling I had was that GTA5 felt right at home on the PlayStation 4. While the game used to chug quite a big and felt sluggish on the PlayStation 3, the PlayStation 4 version runs well. The open world looks as gorgeous as before. Gameplay features. Some of you might be wondering if there were added content to the game. The sad truth is, it’s the same game with some changes. Introducing first person mode. After trying it and testing it out, I must say the gameplay experience was augmented significantly. Traditional 3rd person can be now flipped to 1st person mode with a tap of a button. This was built into vehicles as well. The best comparison of what it felt like was like the far cry series experiencing an entirely open world in 1st person mode was spectacular especially in a game like GTA5 where the sense of size matters. Things do get somewhat tricky while navigating vehicles in first person mode. While I get the sensing that it’s not entirely necessary, but those looking for a more immersive feel and a different way to play the game might be interested. The good news is, to change it back to what it was is as simple as a button flick. Let me tackle the simpler question first, if you haven’t played GTA5 before and you own a PlayStation 4, do yourself a Christmas favor by experiencing it for the first time. It will certainly not let you down compared to other sandboxes. This is after all the founding father of all sandbox games which inspired the creation of games like Assassin’s creed, Watch Dogs, Sleeping dogs and many others. GTA5 remains the very best at what it does. Now for the tougher questions, what if you already own a last generation copy of GTA5, should you still run out and buy a copy. Well I think it boils down to how much you really liked the game the first time playing through it. 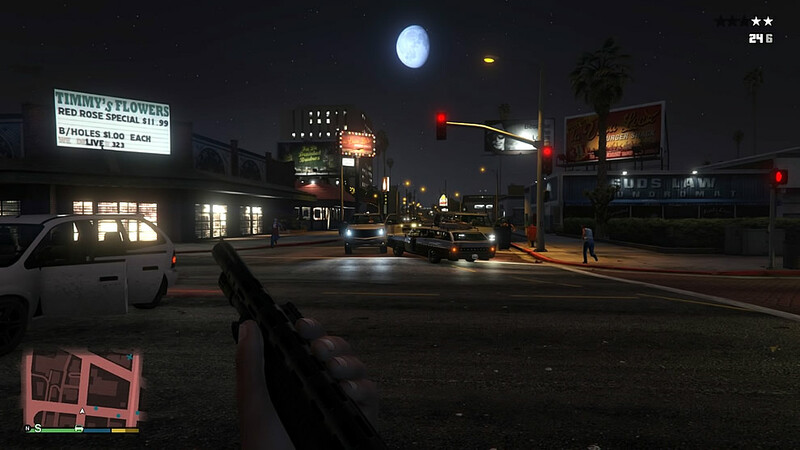 For myself, repeating certain parts of the game felt unnecessary, however, revisiting iconic moments in the game like catching Michael’s son while driving, stealing a plane with Trevor never gets old, racing through the open world of Los Santos and admiring the intricately designed city with endless things to do. Given the technical spectacle that GTA5 is, I would say playing through the definitive edition was certainly worth the while. So if you have the spare budget for Christmas and you’re looking to indulge, GTA5 might just be the perfect gift for yourself or someone special. (Over the age of 18 of course as the game includes plenty of M18 content). Given we’re a family friendly community, we have to do our due diligence in advising accordingly. In any case, have yourself a lovely Christmas, as for me, it’s back to Los Santos for 1 more run. Cheers! © POPCulture Online 2014, All Rights Reserved. 5 Reasons that GameStart 2016 is Full of Win! I'll have to call it on this game....ready? Overwatch is going to be one of the greatest shooters of this generation; the game would join the pantheon of great FPSes such as Halo, Call Of Duty and even Counter Strike Global Offensive.